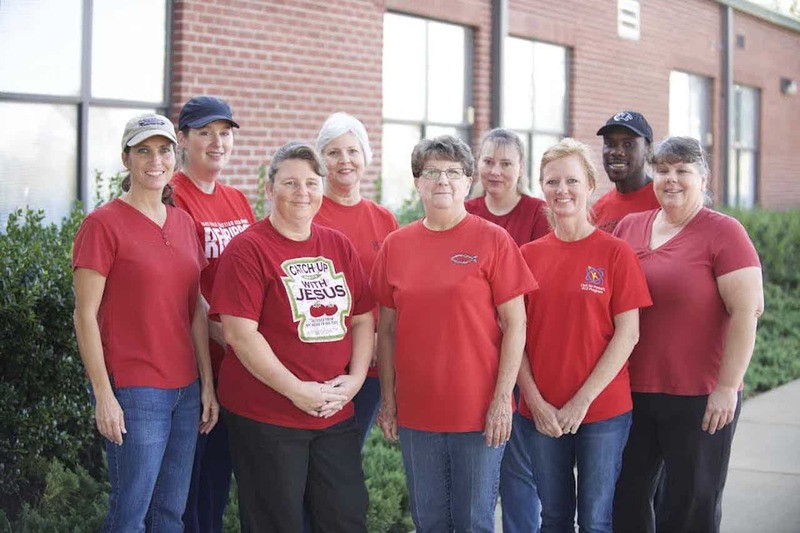 Prattville Christian Academy takes great pride in the quality and value of our cafeteria services. PCA’s well-appointed cafeteria & kitchen is managed by Jo Tatum, Food Service Director. Mrs. Jo and her team have more than 80 years of combined experience and serve nearly 750 students and faculty members breakfast, breaks and lunch each day. Lunch menus are planned with attention to student’s favorite foods as well as a variety of healthy choices, including baked chicken or fish daily and a fresh salad bar. We are sensitive to food allegories and are proud to be a peanut-free cafeteria. The PCA Cafeteria enjoys being an active part of the learning process too! Special menus are planned according to what various student groups are learning about, including international foods, red foods for Red Ribbon Week and a vegetable of the month that corresponds to PCA’s Be Healthy school initiative. Menus change according to the seasons to allow the purchase of the freshest ingredients. Menus and price lists are available by clicking the link below. There may be occasional changes to the menus and price lists, so please check back often. Menu suggestions are always welcome!